See the dog paws? 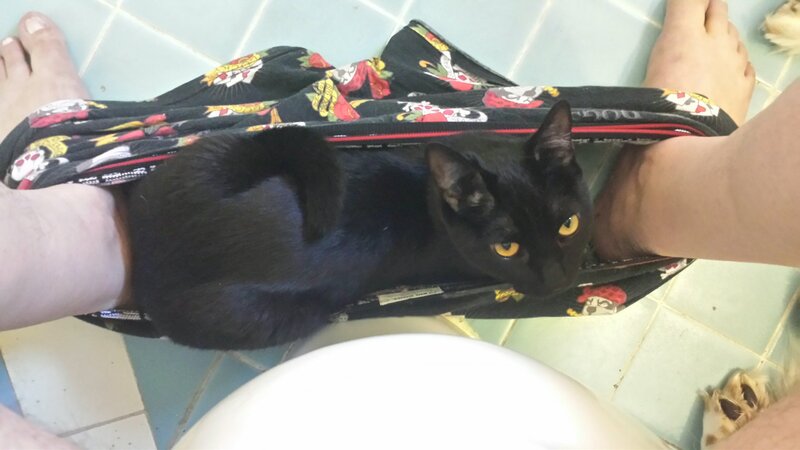 She was lying there licking the base of the toilet. All our animals are broken.